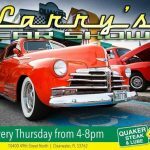 Hosted by the South Florida Truck Club. Join us to enjoy a night of live music and great craft beer. They have 26 taps of local and national independent breweries. Plus 10% off your bill for South Florida Truck Club members, so make sure you wear your club shirt. Another new place for our club to have fun at. Every month on the first Thursday. All Jeeps and clubs welcomed. Reserved Jeep parking. Food and drink specials. Every month on the second Thursday. 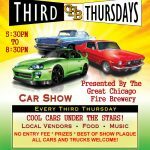 Come join us for a night music with DJ Groove, vendors, lots of spectators, a beautiful view of the beach, Greek food and most of all the car truck and motorcycles. Hosted by MG Productions. The first 50 male drivers will receive a special gift. Awards, DJ music and food.